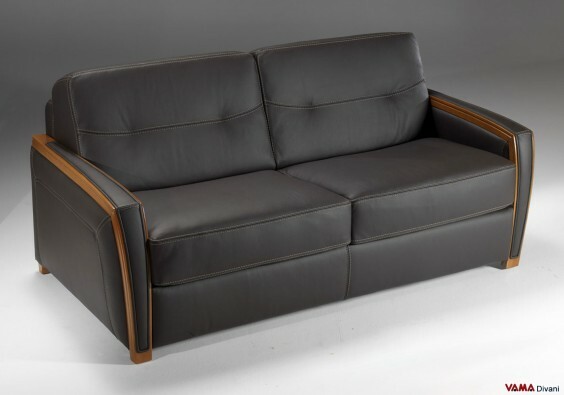 The Lido C sofa bed is stylish, elegant, and also features original and eye-catching details, like the simple but clearly visible wooden elements that embellish its arms and the seams realised by our Italian craftsmen of its upholstery. 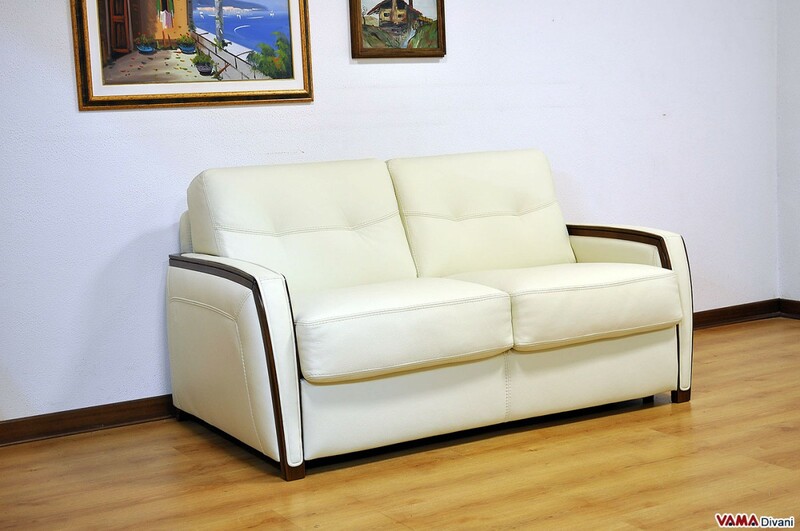 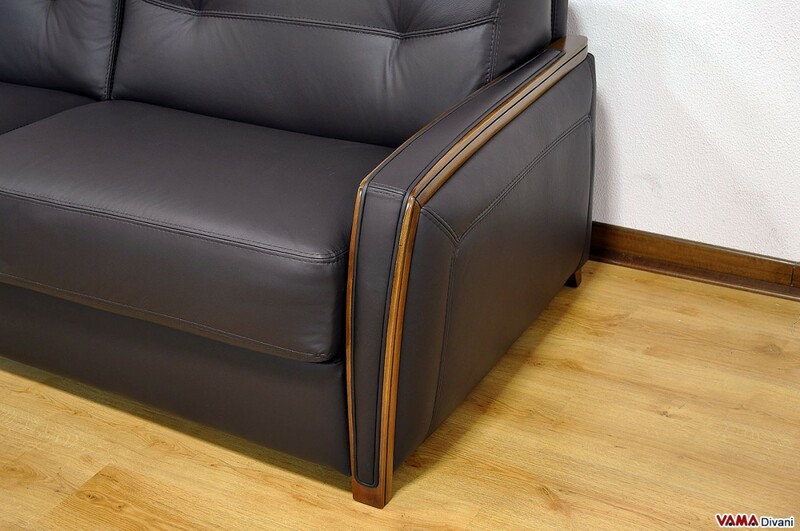 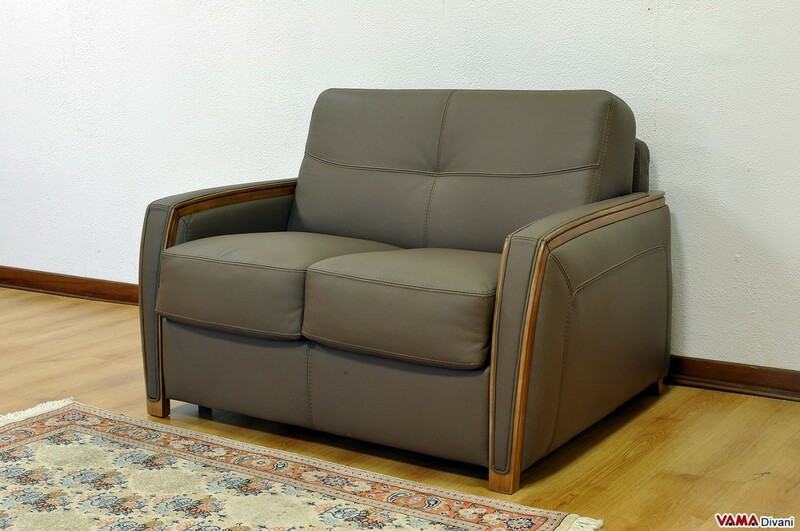 Completely upholstered in genuine leather, this sofa can be matched with great flexibility in different spaces, and it guarantees a high level of comfort. 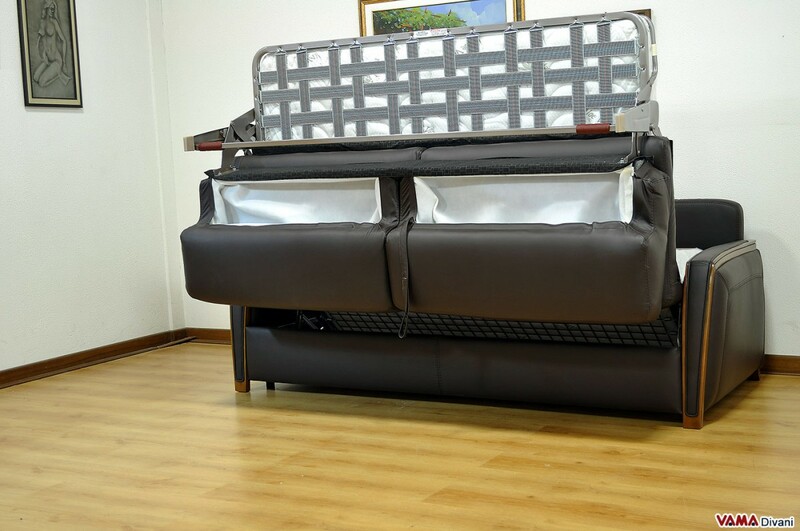 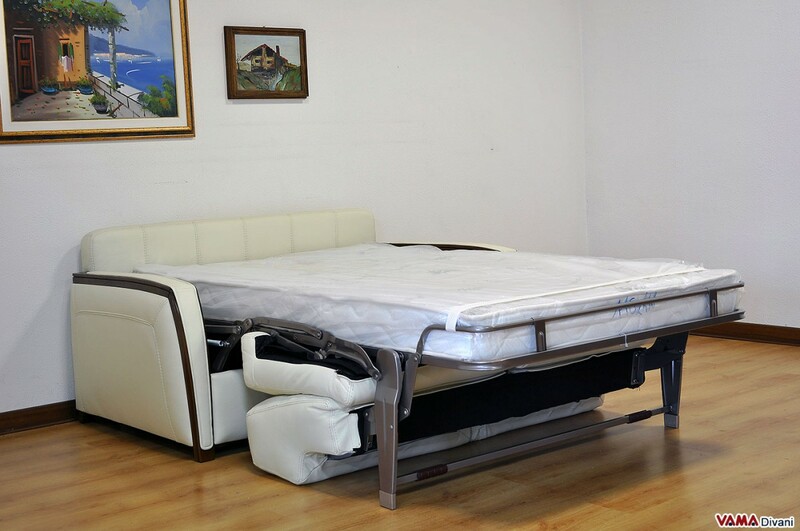 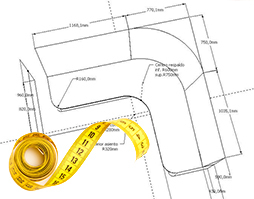 Its high back and its soft padding, in fact, highlight its convenience, while the inside 14 cm thick mattress, is padded with one of the best materials: the polyurethane foam. 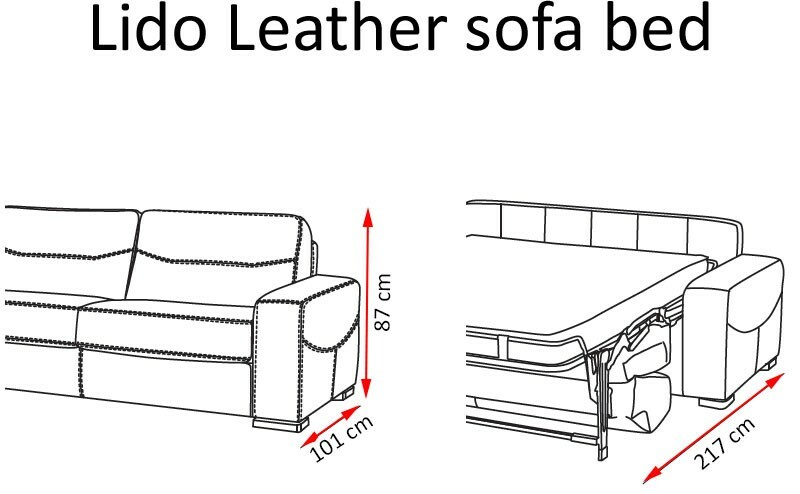 Thanks to its special electro-soldered mesh that keeps all the cushions perfectly integrated to its structure, Lido C can be transformed from sofa to bed, and vice versa, with a simple gesture, in a very easy way. 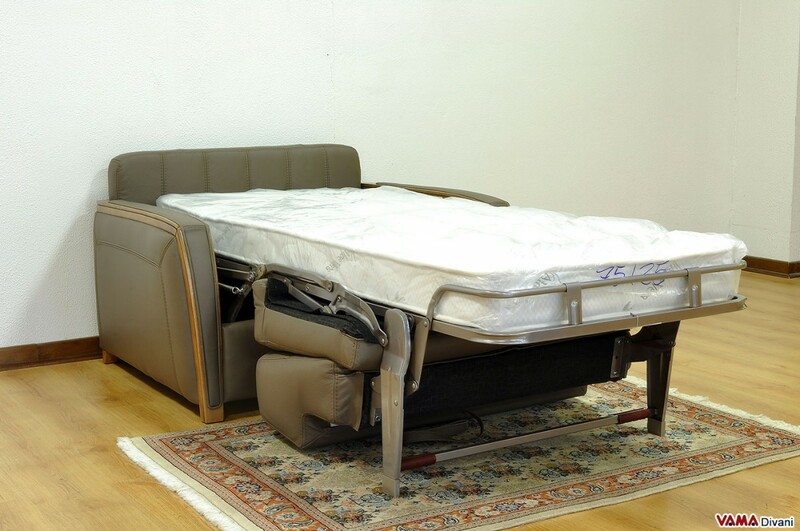 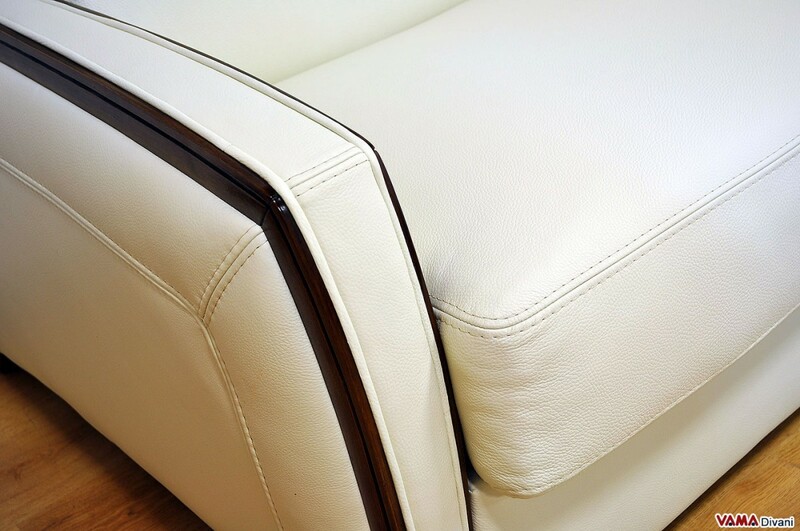 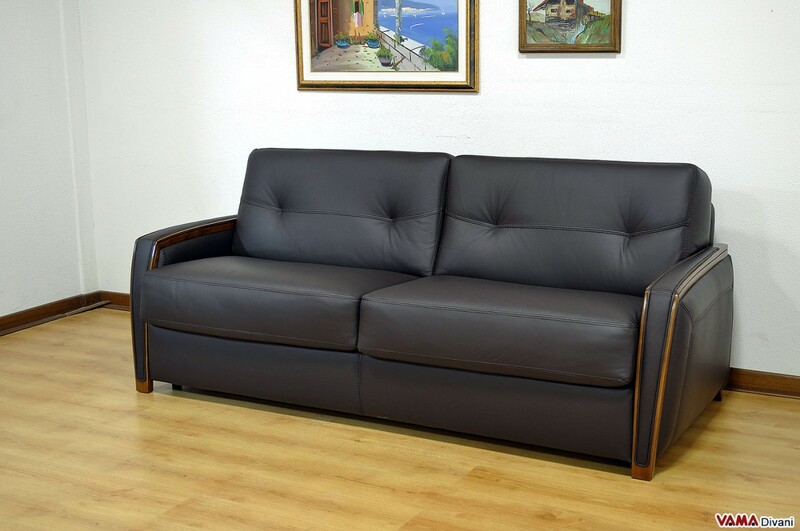 Elegance and convenience are the key features of the Lido C sofa bed.